In a sequence of events that won't surprise many, Sony's God of War has remained at the top of the UK charts for a fifth consecutive week, but Nintendo's latest release has made a dent on proceedings. Hyrule Warriors: Definitive Edition has secured a third place spot in what has been a quiet week for new releases, with Donkey Kong Country: Tropical Freeze only dropping two places from last week into fourth. It will be interesting to see how Link's latest outing fares in the coming weeks; hopefully it won't see the same fate as Nintendo Labo which quickly dropped down the charts after a strong start. 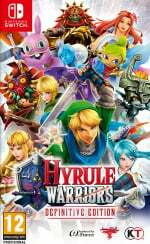 It appears that third time is not the charm for Hyrule Warriors, however; the Wii U version sold more than double the number at launch than the new definitive version has managed on Switch (when looking at boxed copies). Sales are higher this time around than when the 3DS version released in 2016, though. 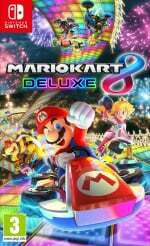 Elsewhere, Mario Kart 8 Deluxe has clung onto another top 10 place for Nintendo's software. You can check out the full list below. Makes sense the Wii U version did better this time, Wii U owners had nothing to play between Mario Kart 8 and Hyrule Warriors outside of VC meanwhile Switch is getting quite a lot of games. Still not sure I'll double dip on this. It was great on Wii U, and never played the majority of the DLC. Think I'll something else up come pay day. Played both Wii U version and 3DS version, but I've got so many other new games to play on my switch, will probably get this later down the line, maybe get someone to get it for christmas. Hopefully my backlog will be a bit clearer by then. Give me Mario Warriors or Pokémon Warriors and then I’ll bite. That's pretty good for a game that's released 3 times! 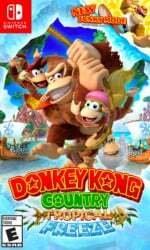 "Wii U sales were higher, though"
I’m so happy to see DK have some legs! The Wii U one wasn’t competing with one piece warriors and fire emblem warriors. What do you expect when you publish a game for the third time at full price? Think Hyrule Warriors definitive didn’t blaze the charts in Japan either. It’s a niche game type that has been out before and on two different systems so think this level of sales for it is actually pretty good. "Wii U sales were higher"
Hyrule Warriors sold very well on the Wii U - it's the best-selling Musou game ever in the west - and it was also ported to the 3DS back in early 2016 - further cementing Hyrule Warriors as the best-selling Musou game ever in the west by a huge margin. DKCTF underwhelmed commercially even by Wii U standards; it makes sense that the Switch version is poised to outsell the Wii U version very quickly. In the Individual Format Chart for units 3 of the top 5 are Switch games. Labo Variety Kit is number 10 as far as revenue generated, with the Robot Kit at 37 in that particular chart. Warriors games of all types have always been a bit niche so it's hardly surprising, I myself am loving it and all the Zelda nostalgia after BOTW threw away a bit too much for me. I'm utterly addicted to it and it's great pick up and play action that'll just keep on giving for a very long time. Now can we have the 2 HD Zelda remakes from the Wii U please? For a game that has been released three times, it's not that bad tbh. Surprised this registered at all TBH. As others have said its niche, on its third release and Co petting with a new Nintendo-skinned Warriors title from 7 months ago. Wii U ports are now on the niche and spinoff territory. They got Donkey Kong, Mario Kart, Pokken and Bayonetta. Now its the smaller less notable releases, and those wont do as well. I don't want to fall into arguing about Wii U ports, but its telling that they are all that the Switch is offering in the Top 10. Soon, Nintendo will lose that crutch and hopefully that will signal more original content. Again, not an argument against ports, just one in favour of more new games in the truest sense (not new for Switch owners). Can someone tell me with all the DLC roughly how much game time is there in HW:DE? This is the third release of the gane so that makes sense. @Shellcore The ports are great! But they're supposed to be the supporting cast of a "steady cadence of releases." This was true in year one, but 2018 has been barren, except for 10 hours of mediocre Kirby gameplay. August - December: Yoshi, Fire Emblem, Smash, and hopefully Pokemon. Throw in Sushi Striker and we've got 6 new first party releases and 1 port over 7 months. Unfortunately, I think that means we're not going to see much new at E3 beyond setting up the release schedule for the year. Here's hoping for some surprises. Considering this is the third time the games has been released, once on a less successful system and once on a more successful console this is pretty good. I suspect one of the reasons people aren't rushing to this is that its not as good of a hybrid as Fire Emblem Warriors was, That being said I'd take Adventure mode over History mode every time. @beazlen1 Hundreds of hours, probably around 200 if you just want to beat the adventure maps and Legend mode but likely over 500 if you want to 100% complete everything the game has to offer. Seems like Labo is doing some work in generating revenue, even if unit sales are soft. @Kimyonaakuma I honestly cannot tell if this comment is in jest or not. Well played, sir! Nintendo should just continue re-releasing Wii U ports for Switch. @beazlen1 Hundreds of hours. I put 150 into the 3DS version and wasn’t even close to unlocking everything. @YummyHappyPills I said both of those! I didn't count Octopath, since I was just talking about first party titles, but it's certainly worth mentioning. @frogopus Nintendo is publishing it, and funding it. Hyrule Warriors DE may have actually outsold (or at least sold as much as) Fire Emblem Warriors. "Wii U ports are now on the niche and spinoff territory. They got Donkey Kong, Mario Kart, Pokken and Bayonetta. Now its the smaller less notable releases, and those wont do as well." I'm a bit confused by this. DKC Tropical Freeze, Pokken DX, and Bayonetta 2 didn't exactly have massive launches on the Switch. 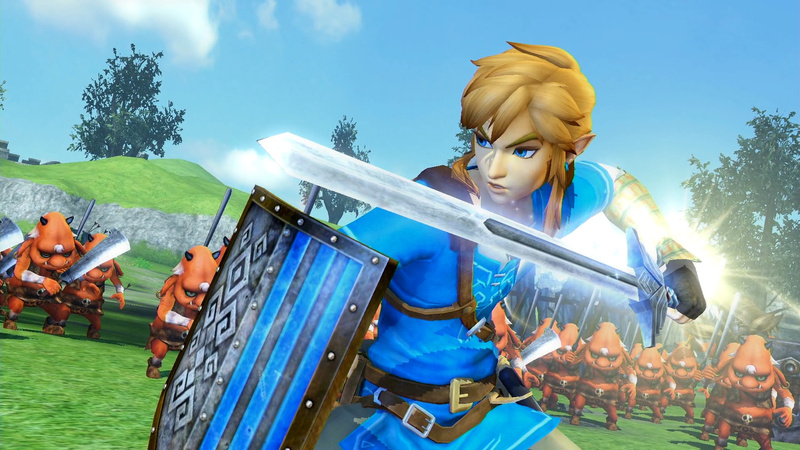 In fact, the latter 2 sold less than the original Wii U versions at launch, much like Hyrule Warriors. The difference is that the Switch is a successful platform, so all of those titles had much better legs than their Wii U counterparts. Tropical Freeze is the only Wii U port on the Switch that has handily outperformed the original Wii U game at launch. Nice 2ds skin. Where did you get it? If I could put money on a NSMBU port releasing this Christmas and doing really well I would. They haven't done Mario 3D World or the Zelda HD remakes either so not down to the niche stuff yet. @PaulDuran 2ds doesn’t have a skin on it. @YummyHappyPills I didn't realize that they were publishing it (outside of Japan, anyways). FINE. I'm still right if I lived in Japan though! @Pixel33 @Mr_Zurkon thank you for your replies. Sounds like a beast of a game!